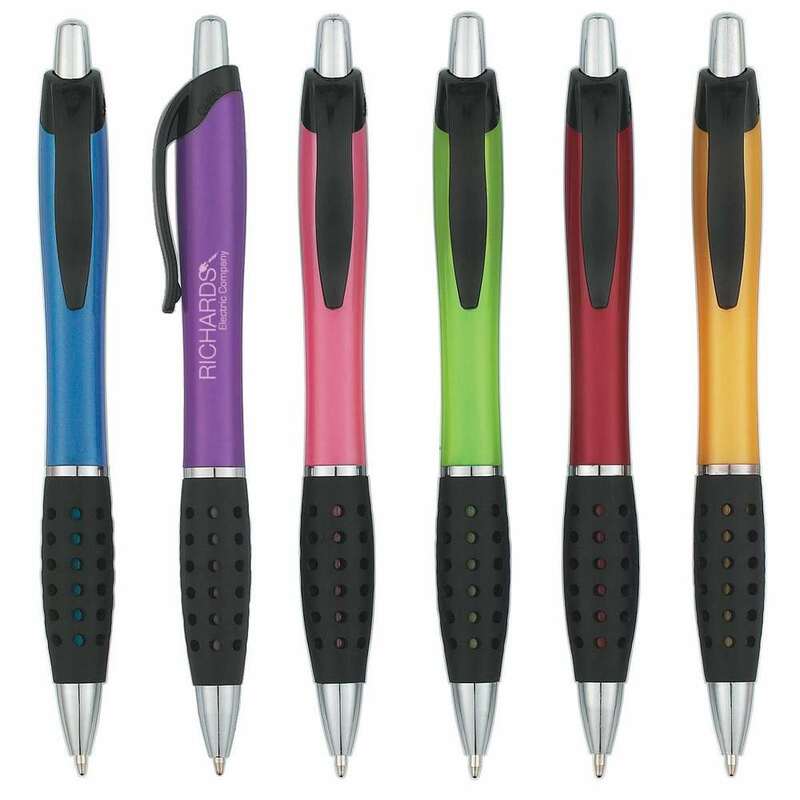 The Mystic pen is a colorful, yet sturdy pen that is comfortable to write with and easy to grip. It comes in attractive colors including: purple, red, pink, yellow, green, or blue, all with black trim and rubber grip. 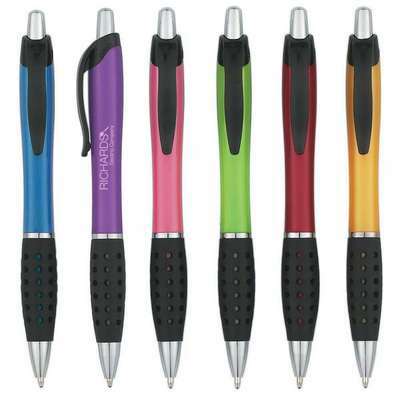 The Mystic pen is a colorful, yet sturdy pen that is comfortable to write with and easy to grip. It comes in attractive colors including: purple, red, pink, yellow, green, or blue, all with black trim and rubber grip. It has a plunger action, with black ink and a medium point. Print the barrel, with your company’s logo, using standard silk screen colors. Use it as a giveaway, to promote your brand: at trade shows, seminars, schools, workshops, and colleges, to create a solid impact.